Born in Krakow, Catherine was the fifth child (and fourth daughter) of Sigismund I, king of Poland, and his wife, Bona Sforza. In 1562, Catherine was married to John Vasa, duke of Finland, thus becoming duchess of Finland. According to some sources, they eloped; at the very least, they seem not to have married with the kind of permission expected for royal marriages. It did not help that John Vasa was Protestant, Catherine, Catholic. John's half-brother, King Erik XIV of Sweden, declared war on John the next year, captured the couple, and imprisoned them in Sweden. Although offered the opportunity of returning to Poland, Catherine remained with her husband, giving birth to two children while being held in Gripsholm Castle. Her daughter, Isabella, was born in 1564 but died in 1566. Sigismund, born in 1566, would later become king of both Poland (1587-1632) and Sweden (1592-99). In 1567, John and Catherine were released from their imprisonment. An unpopular Eric (who, among other things, was thinking about separating Catherine from John and sending her off to Russia and a disappointed suitor, Ivan IV "the Terrible") was deposed, and John Vasa, duke of Finland, became John III, king of Sweden. As an interesting link to an institution we've discussed before, Catherine supported the now-declining Vadstena Abbey, founded by Birgitta of Sweden and once the home of Birgitta's daughter, Catherine of Vadstena, who had been its abbess and who had had St. Birgitta's remains moved from Rome to the abbey. The king and queen of Sweden would also spend considerable effort trying to gain Catherine's Sforza inheritance, which she should have received after her mother's death. They were not successful. 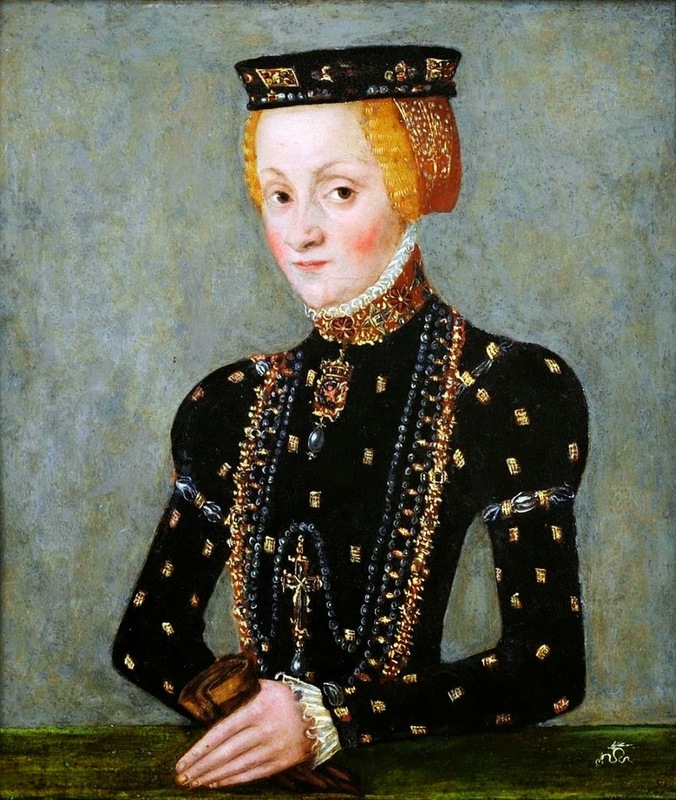 Catherine Jagiellon, queen of Sweden, died on 16 September 1583. Her son, Sigismund, would become king of Sweden in 1592, but he would be deposed after only seven years of rule at least in part because of suspicions about his Catholic upbringing.